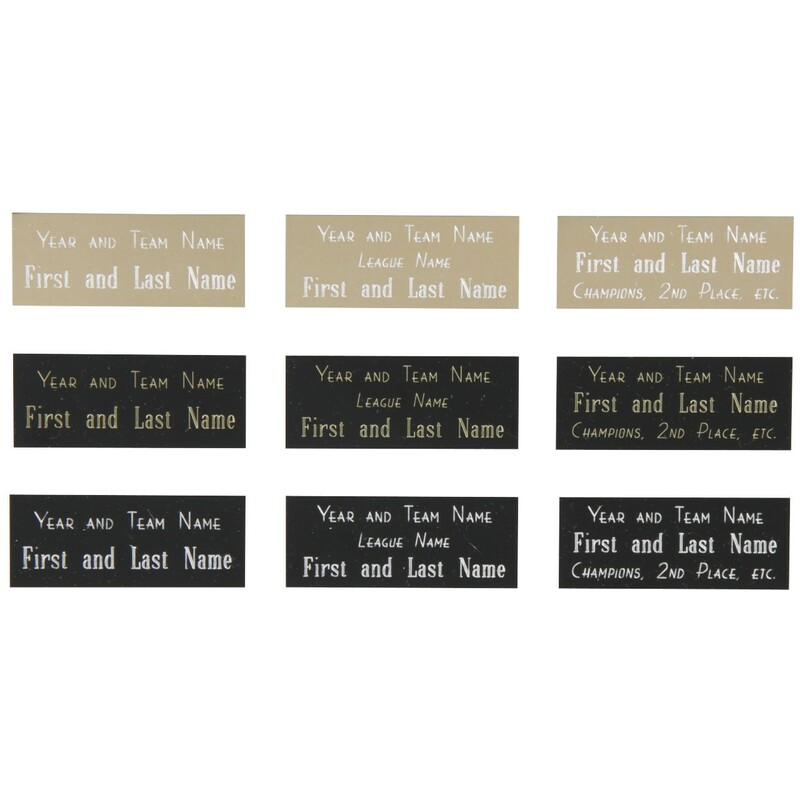 Give your male soccer team this very memorable award set in solid pewter-like resin with gold highlights! The Male Team Oval Soccer Award stands on any flat surface and even hangs on the wall. 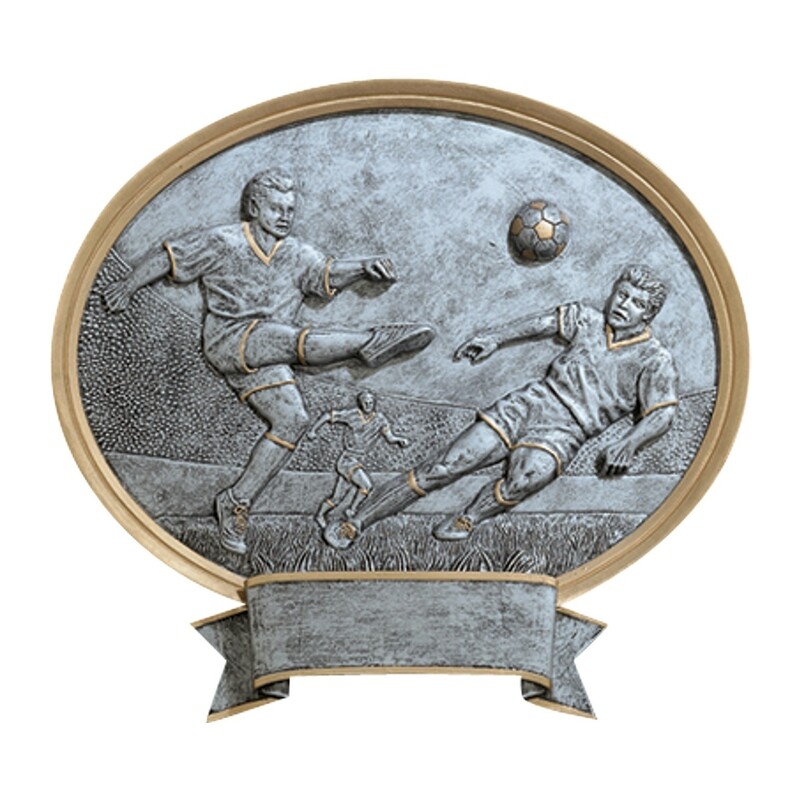 Depicting two male soccer players in action, this award would be a great choice for team participation trophies, MVP awards, or coach gifts!